We like to poke fun at ourselves and our experiences, but we don’t often enough talk about how much we actually enjoy what we do. 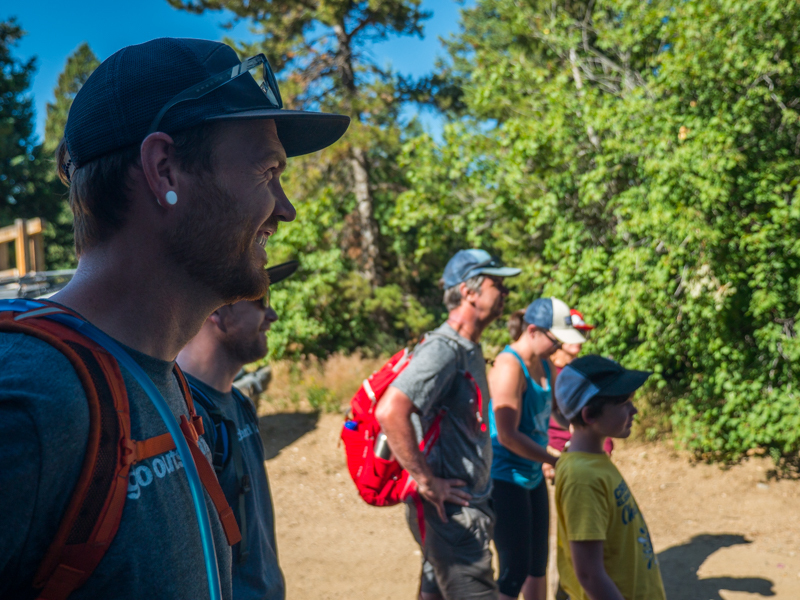 The outdoor community is unique and we’ve met a lot of people on our travels we’ll never forget. 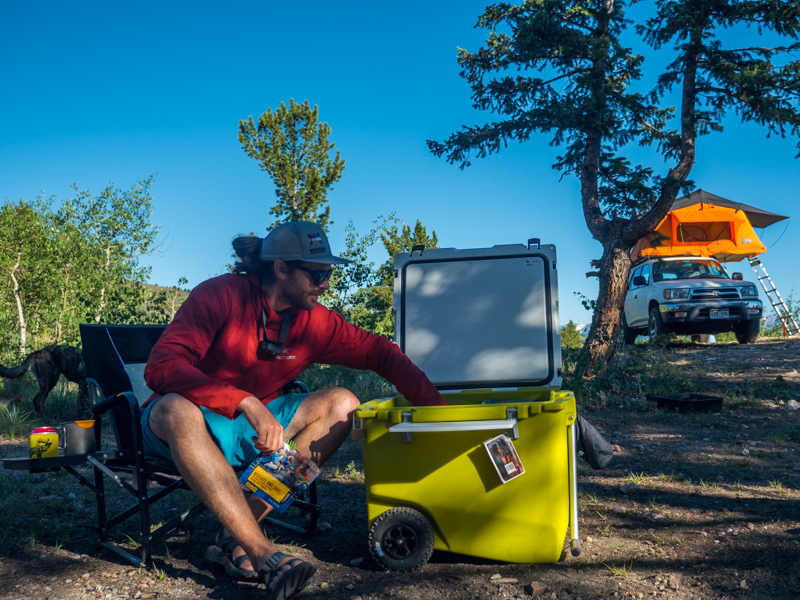 Throughout our journeys in the van, we are fortunate to take part in several community style events that help us connect with new people from all over. 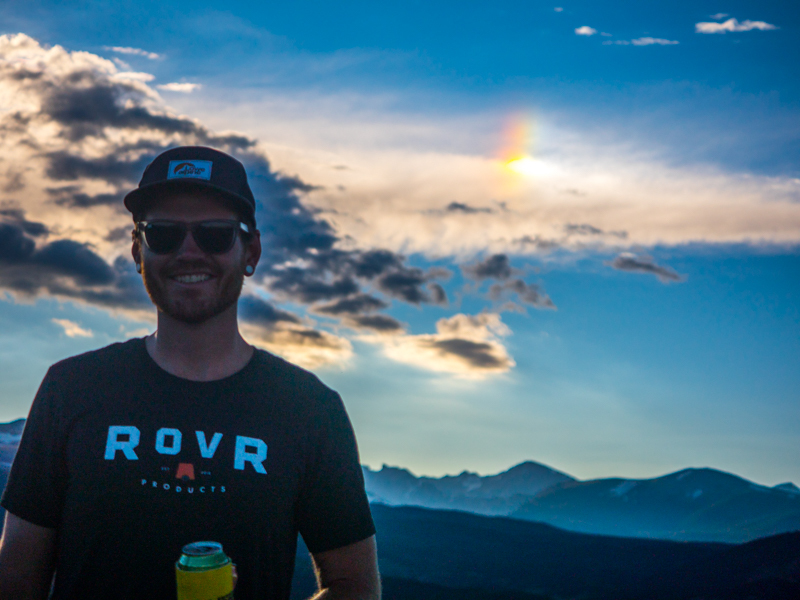 We’ve organized trail cleanups, group hikes that end at the brewery, and group mountain bike rides that end with pizza AND beer. This past weekend was one of those great opportunities. 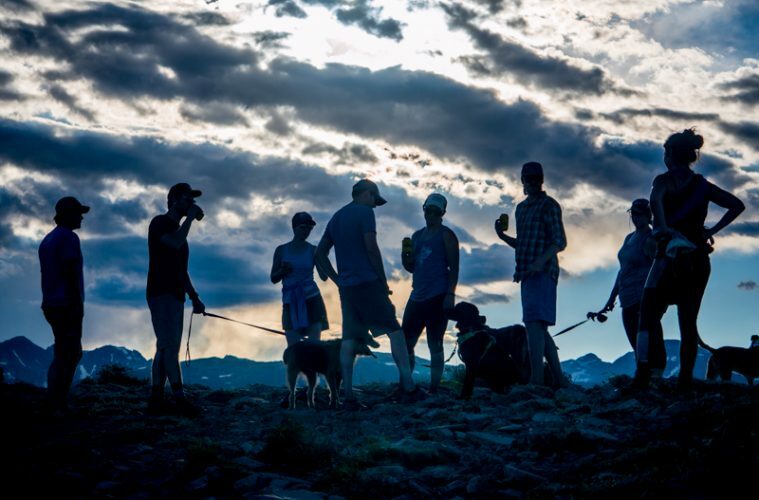 We hosted group camp out in Boulder, Colo. with Elevation Outdoors Magazine followed by a trail maintenance event at the Switzerland trailhead. 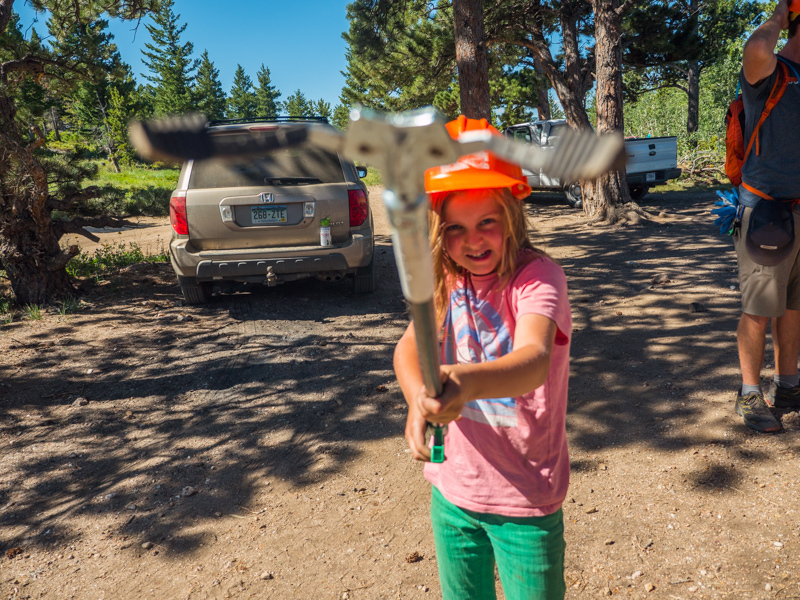 Putting together a group campout isn’t easy. 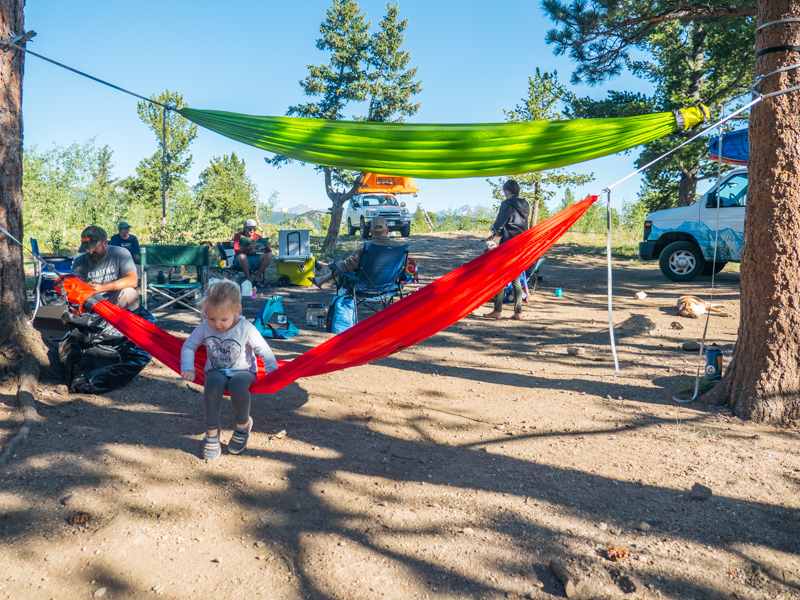 It’s peak season in Colorado and finding a dispersed camping site with a great view, that’s large enough for 20 people, on a Saturday, is no easy task. 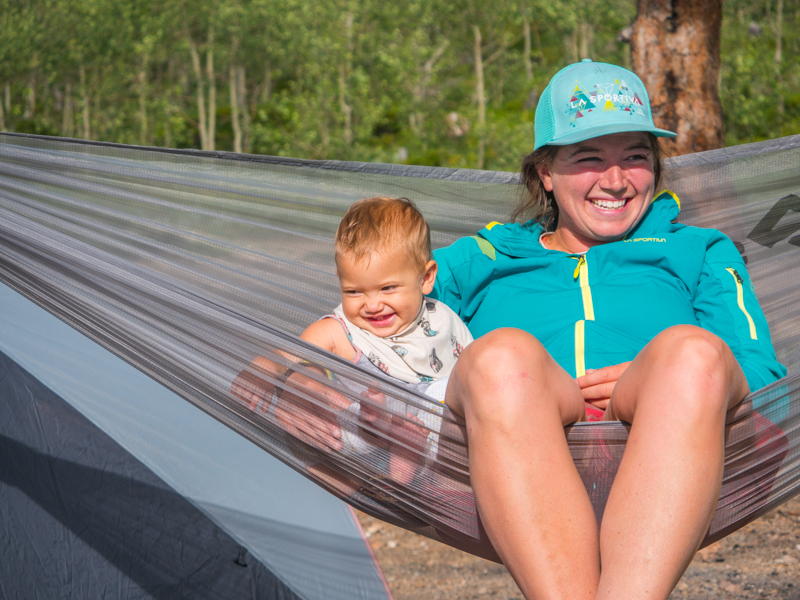 Elizabeth, our fearless leader at Elevation Outdoors, led the charge and found a magnificent spot just off of Switzerland Trail outside of Boulder. We had excellent access to hiking trails, a great view of Longs Peak to the north and the Indian Peaks to the west. As we drove up to the trailhead that sits directly below Sugarloaf Mountain, we were greeted by smiling strangers. Honestly, that’s been one huge perk of this job. We’ve met so many smiling strangers, and sometimes we’re even the reason they’re smiling. The Switzerland Trail was once a three-foot narrow gauge railroad line. Like many old railroad lines in Colorado, the Switzerland Trail has been transformed into a multi-use trail that runs from the Sugarloaf Mountain Trailhead to Sawmill Road just above Left Hand Canyon. In recent years the trail has become more and more popular for obvious reasons. The views from the dispersed campsites are incredible. After getting acquainted with our new friends over a few cold ones from Upslope Brewery, we decided a light hike was in order. The summit of Sugarloaf mountain was less than a mile from our campsite and the lighting was perfect. We stretched our legs on the short hike up and enjoyed the sweeping views from the top. 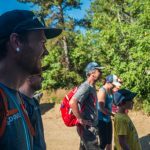 Our group consisted of families, friends, and strangers who were brave enough to meet new outdoor enthusiasts like themselves. Camping with strangers can be a weird thing. “Yeah sure, just meet us at these GPS coordinates, it’ll be fun!” However, nature has a funny way of bringing good people together. 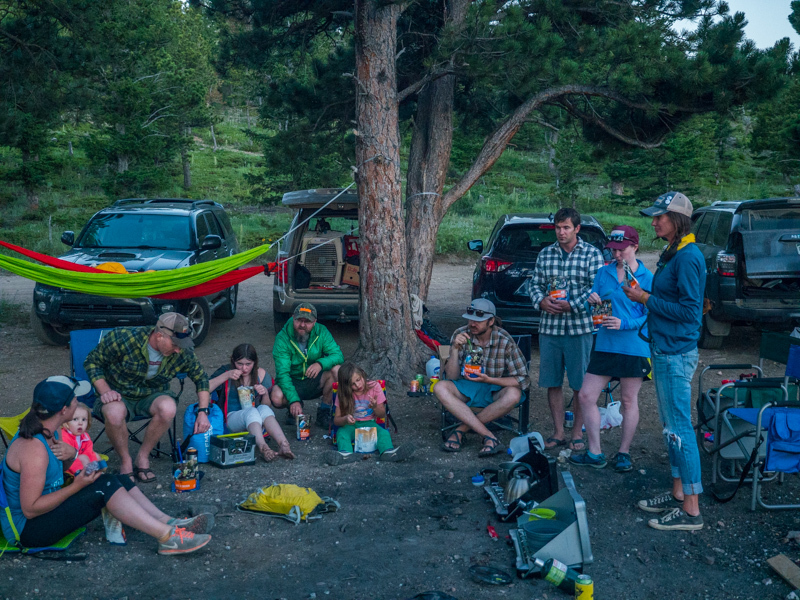 We swung in our Sea to Summit Hammocks, ate Mountain House meals, and talked about outdoor gear well into the evening. The next morning we woke up and volunteered with the U.S. Forest Service and the Boulder Ranger District to help clean up the very area we had camped in the night before. 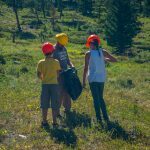 With heavy use comes the need to help keep the area clean. 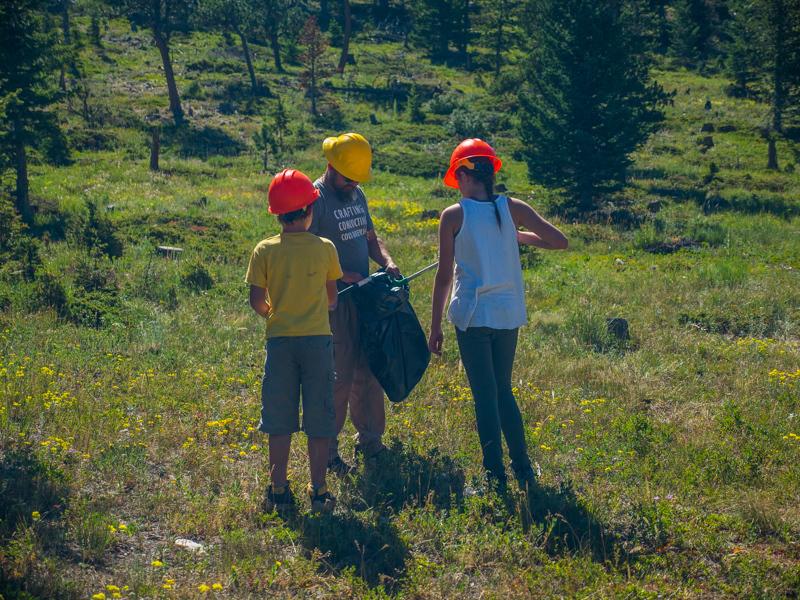 We walked along cleaning up trash and dismantling unnecessary fire rings. 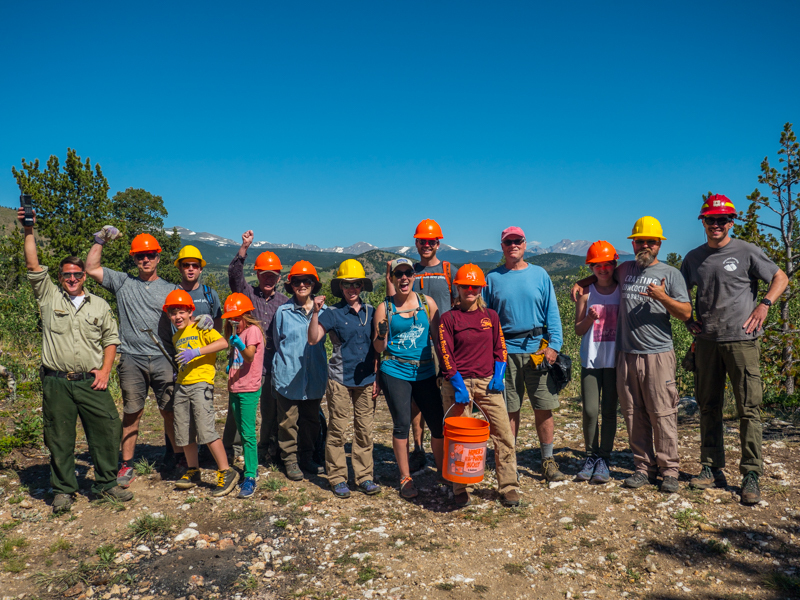 We were joined by passionate locals who were happy to help clean up their own back yard. We’re well into the summer portion of our tour but we have a few meet-ups left. 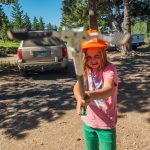 We will be doing some trail work in Salida and then the Van Life Rally is right around the corner. We’d love to see you at one of them if you’re in the area. See ya soon!